In their own words: "The most advanced performance package available for your BMW Gen 2 MINI bar none"
Manic MINI delivers a new New Technology allowing dealer OBD 2 "Port flashing" of the newer MINI ECU types (not available in the Market before). No ECU removal* 2006 to 2014 Model Year inclusive. This is the Worlds first fully handheld switchable MINI software, there is no need to overwrite the ECU again and again, simply switch it. No laptop needed either, no power supply, no need to recharge the SPS Switch ( not available in the Market before ). You will get stock mode and 3 performance modes included with our Petrol Software upgrades for Cooper S and John Cooper Works. 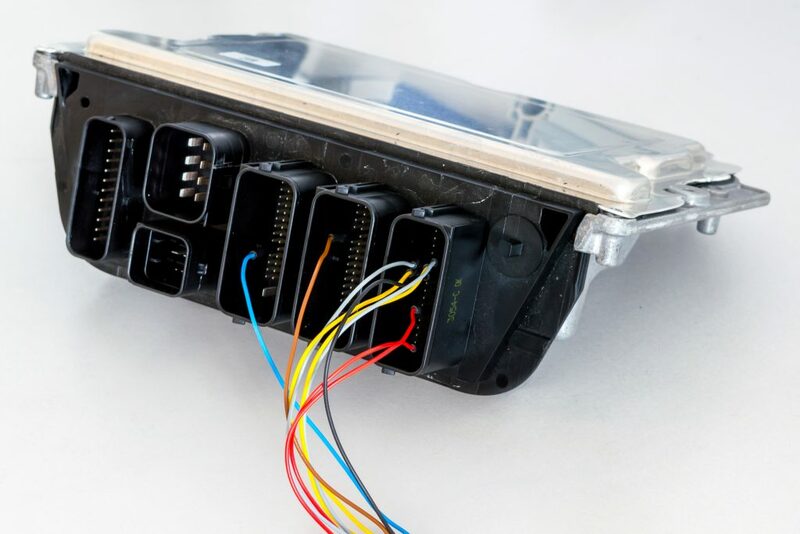 No Factory reflash counters are activated in the ECU by switching and a Stage 1 MINI can appear and perform as a standard car, covertly in 2-5 seconds. Manic Engineers have tested and completed develop specific software in all major regions, designed for your regional specification MINIs, taking Environmental and Fueling qualities into account, along with longevity, Altitude, Dyno and MPG testing to name a few. Having close working relationships with some of the industries leading Brands and Manufacturers enables Manic to provide the ultimate Hardware and Software solution, with a full Staged upgrade program with products designed for daily drivers through to Dyno warriors and Race cars. The most advanced product available in the MINI Market bar none, the results speak for themselves. Lohen and Manic Motorsport: To people looking for the very finest Generation 2 ECU remapping, Manic Motorsport will need little introduction. 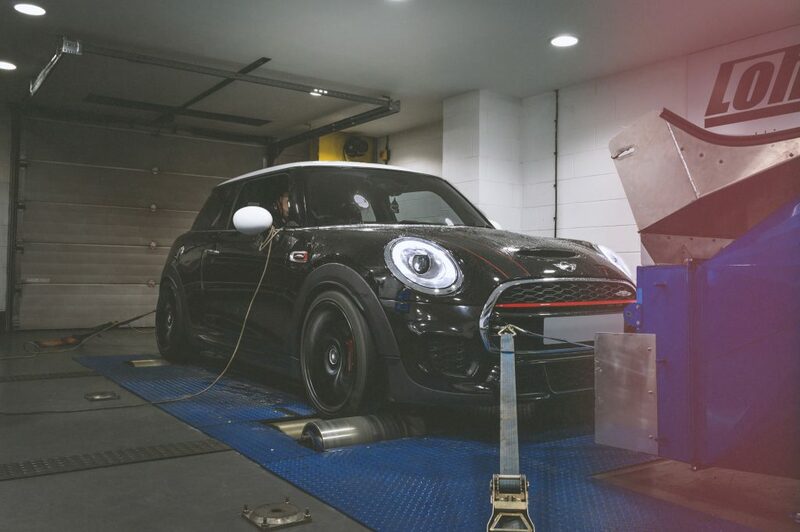 Their expertise are second to none, with all variations of R56 Cooper S and JCW engines accommodated for. 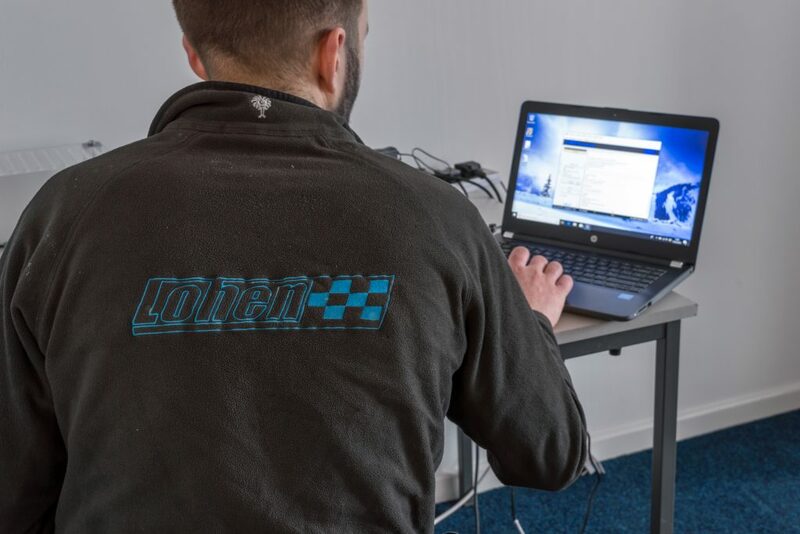 Lohen has worked closely with Manic and is one of a tiny selection of tuners within the UK to offer this Gen 2 remapping. Manic's ECU upgrades have taken the R56 MINI crowd by storm, offering their various stages of software for both N14 and N18 MINIs. 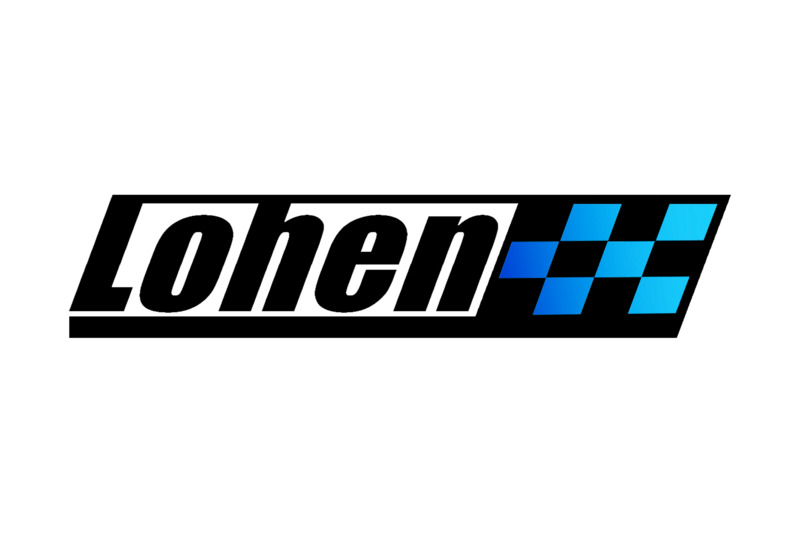 Lohen is proud to offer Manic Motorsport remapping to our customer base and has had proven success with these upgrades, running numerous Gen 2's on our in-house dyno. Indeed, our own demo cars are upgraded with Lohen Performance Packs that include Manic software and has shown fantastic results. Chilli has recorded north of 270 bhp and over 400 Nm of torque and continues to amaze every New MINI owner that takes her for a test drive. Lohen can now offer Manic's bespoke remapping options, giving the customer the choice of flames, pops and bangs. 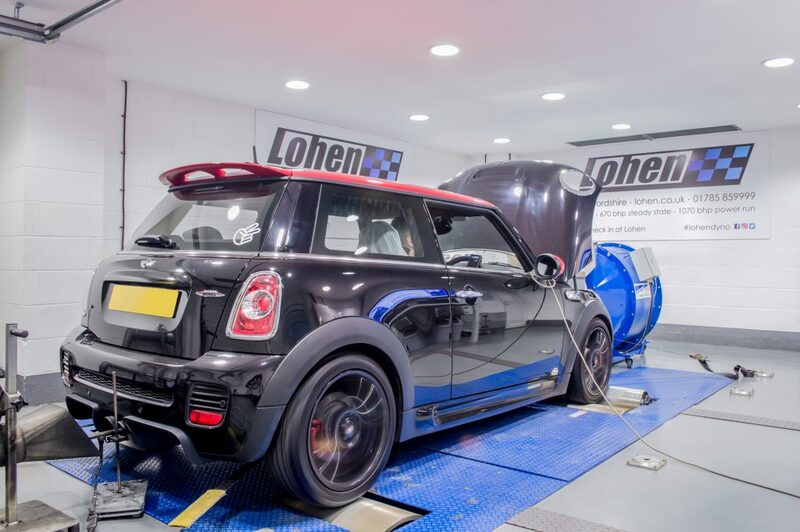 And, if your car is currently totally standard, Lohen's Performance Packages will offer Your Cooper S or JCW a range of hardware with software to suit. If you're looking for the very best Generation 2 MINI mapping on the market, look no further; Go Manic! Lohen and Manic are happy to be able to offer stage 1 and 2 remaps for the F series Cooper S and JCW. These remaps for the 2-litre B48 engines are capable of over 300bhp and 490Nm meaning there is nothing on the roads you will not be able to keep up with. Remaps for the F series generation 3 MINI must be done at Lohen HQ where the ECU has to be split in order for the remap to be installed. For stage 1 maps you simply need performance spark plugs and a performance panel filter. Stage 2, you will also need a performance intercooler and downpipe and must use 98 Ron fuel at all times. Manic is also an official partner of the MINI Challenge race series giving them inside knowledge of the B48 engine and how durable they are out on the track, making sure you get peak power from your F56 without damaging the engine. If you have a gen 3 MINI Cooper S or JCW and want effortless power that will instantly put a smile on your face, a Manic tune is a way to go.